Good evening everyone! 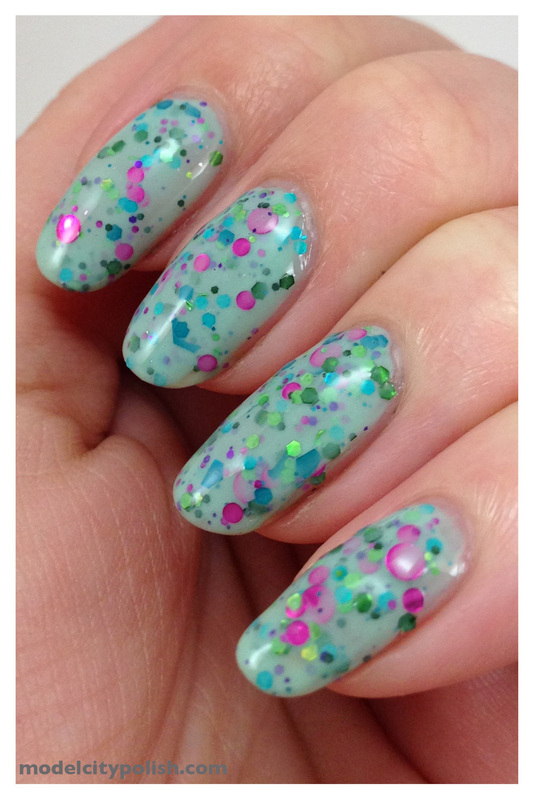 I am back tonight with a lemming of mine that I was finally able to get my nails on! 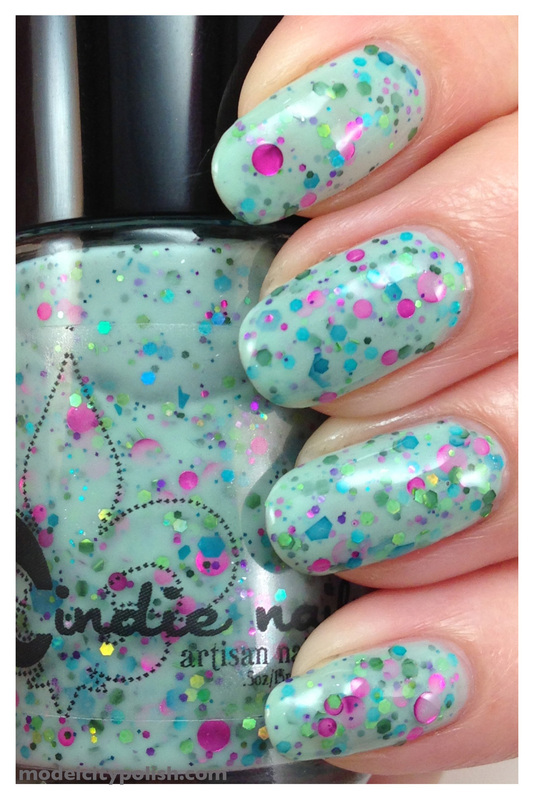 Back in December I purchased my first pair of Jindie Nails lacquers and have been in love every since. Two weeks ago there was a restock and I was actually home to take part. The first one I went for was Princess Breath. A few months ago I saw this one for the first time and have been dying to have it. Lucky me it was exactly what I wanted and perfect in every way. 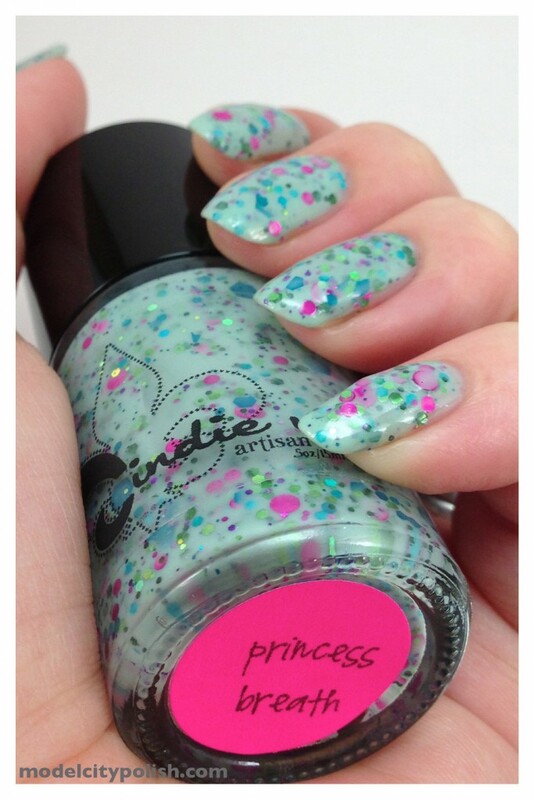 Princess Breath is a teal creamy base seriously packed with two different greens, teal, pink, and purple glitters. There are hexes, shards, and dots floating in perfect harmony. 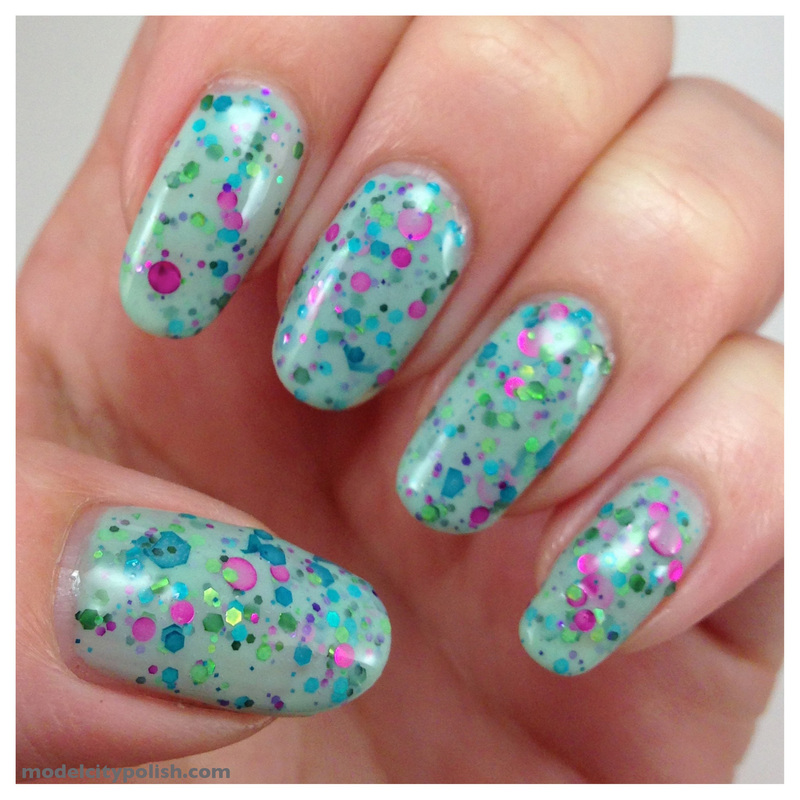 With all of that glitter you are going to want to be cautious of clumpy spots on the nail. 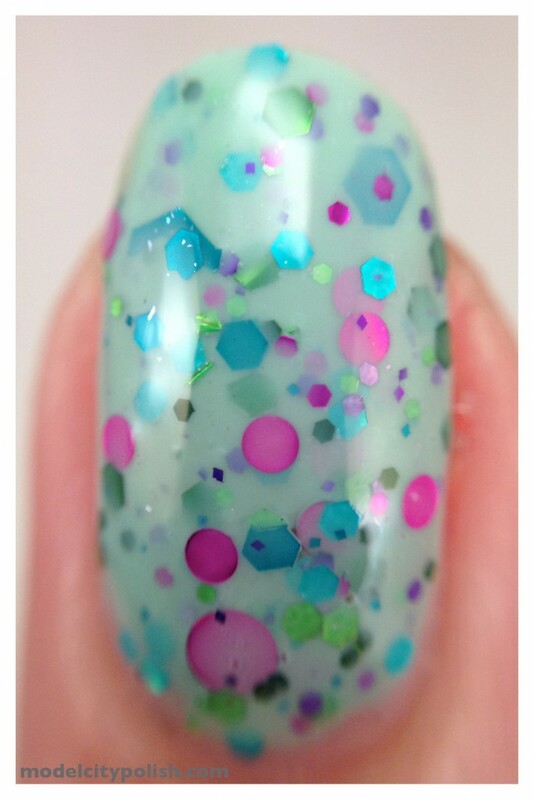 All of my photos I use two coats followed with Gelous and Seche Vite.